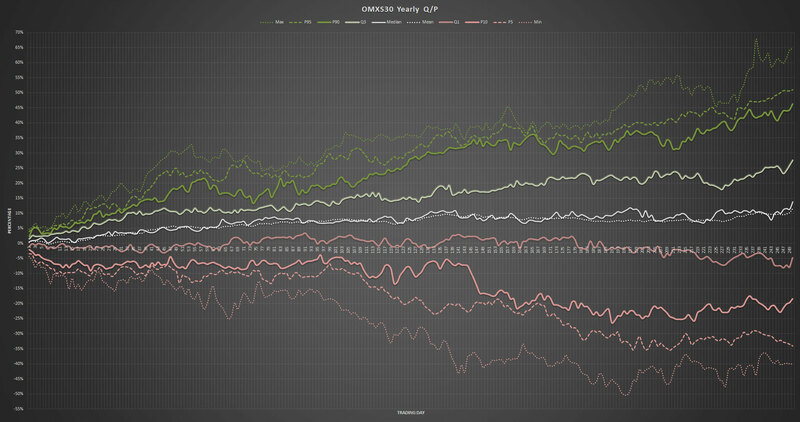 Annual graph showing different value for the year’s various trading days. 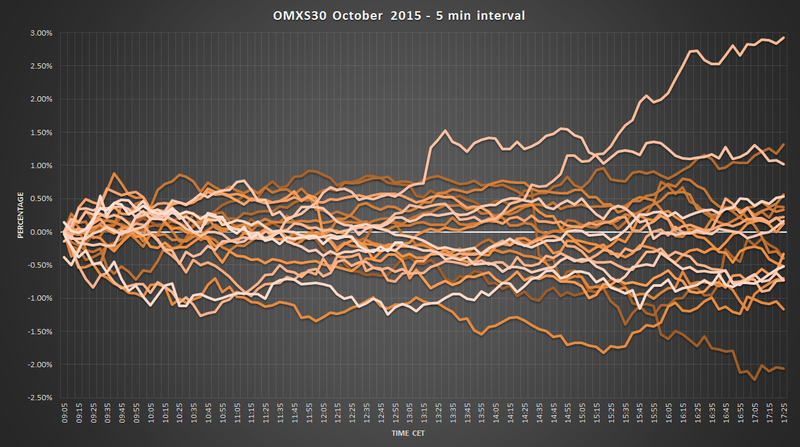 Max / Min, Quartiles and Mean / Median. 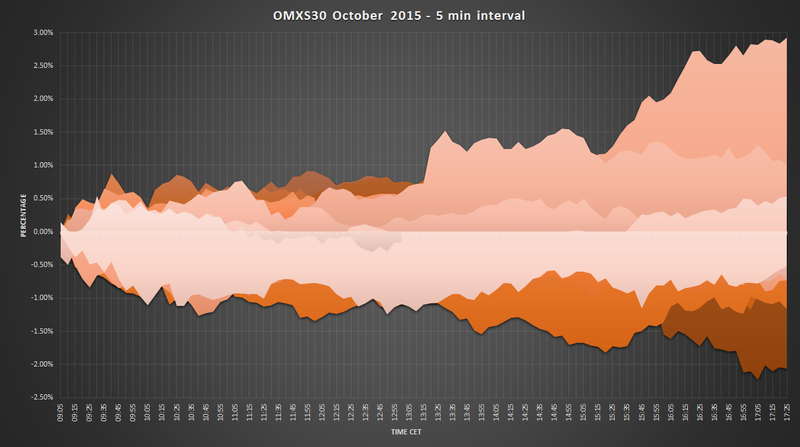 OMXS30 2015 October – 5 min Dev. Ahead of the upcoming Turn of the Month May/June, the statistics are always calculated after closing price and from year 1987 to 2014. This statistics applies only to Turn of the Month August/September. 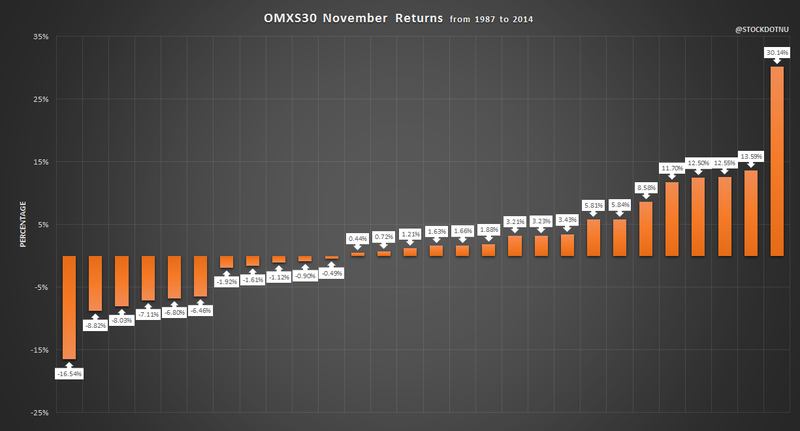 Last trading day of the month is -1 and the first trading day of the new month is 1. The trading day -8 is Thursday 20/8 and trading day 8 is Thursday 10/9. Statistics are presented with graphs and matrices. 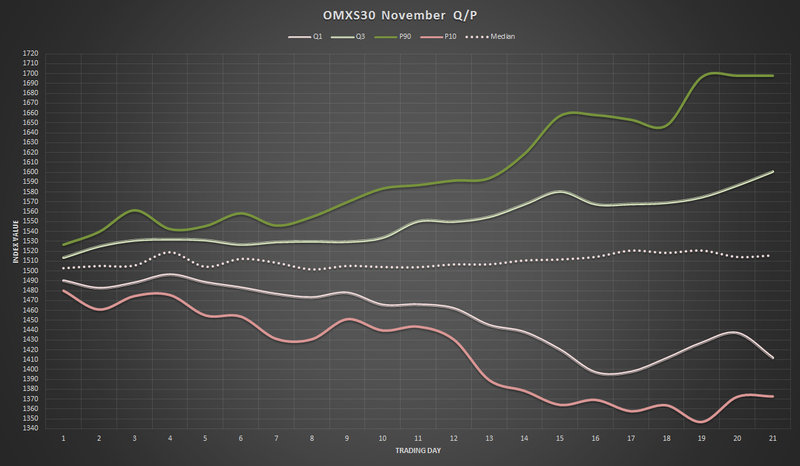 The three graphs, first graph at top is all percentiles and quartiles and MAX and MIN, next is reduced to P90 and P10, the bottom graph is scaled to the upper and lower quartile. 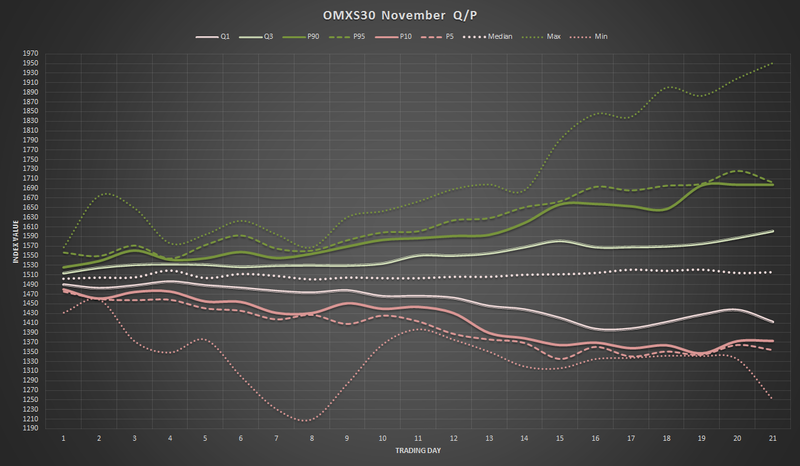 Third graph from the top is the one that is most useful, noting the normal range for this month end with the mean and median in the middle of the field. 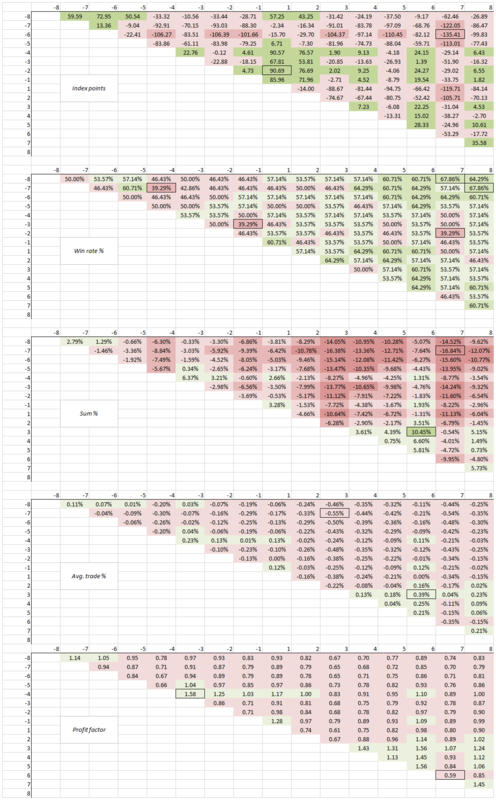 In this post there are matrices that show different values for the calculated period and most importantly win rate, profit factor and avg. trade %, but also index points, sum %. 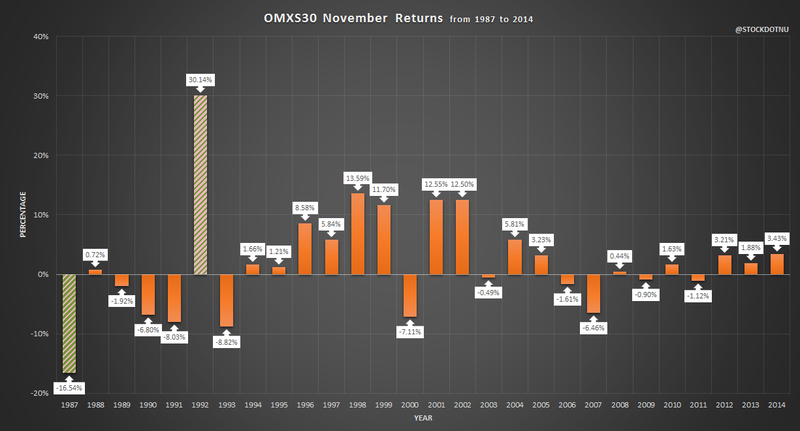 I would say this Turn of the Month have in history been quite bad and you have to be more careful trading this TOM. BUY and SELL according to statistics is always done at closing price.